Earlier this year, I interviewed two people in China and wrote the story of a man called Sheng Shuren (盛树人). He studied journalism in St. John University in Shanghai around 1940, and worked for English publications and then for the British Consulate. After 1949, he moved to Beijing to work for the Xinhua News Agency. His trouble began almost immediately and, by the end of the 1950s, he was a prisoner at a labor camp. Later he was sent back to Shanghai, his hometown, where he was denied residence registration, divorced by his wife, had no job, and lived with his aging mother. He taught English stealthily to support himself and died in 1976 at fifty-six years old. Of course there are those who, for real or not, rejoice to return to the fold and can’t seem to thank the Party enough for giving them a second life. But that’s another story. In China, serious and honest scholarship about the recent history, from land reform to the Cultural Revolution and everything in between, has difficulty getting published. Scholars have learned to avoid such topics because their career advancement and their research funds all depend on them not treading on “sensitive” issues. The best-known literary writers are those who have perfected what I call “the art of pseudo Chinese story”, that is, stories set in a time that is vaguely past, vaguely Chinese, but nothing in it relates to the real China as you and I know it. Meanwhile, every Chinese knows a few of these victims, either in their own families or from the surroundings or both. I grew up in the most average environment possible, and I for one can think of no fewer than ten such silent men who have by now mostly gone without leaving behind a single word about their stories. The writing of Sheng Shuren represented an exceptional case in that the two men, one his friend and the other his younger brother, more than willingly told me the man they knew, and they felt the same as I do, that the past should not be forgotten. In other cases, it can be very different. I have been wanting to write about my high school chemistry teacher, Mr. Huang, who died more than a decade ago. He was the best chemistry teacher in my school, but he was a wreck! Although extremely near-sighted, he didn’t wear glasses and had to hold things up close to his eyes to see, whether it was his book or notes or test tubes. In winter, he wore a ragged, dirty cotton-padded coat with a thick rope tied around the waist to keep warm. Outside the classroom, he hardly ever spoke to anyone. When we saw him on campus, we often didn’t know what to do. Sometimes we pretended not to see him; when we did say hello to him, he always looked surprised as though he hadn’t expected such attention at all. Then I heard from other students that, when he was young, he was very handsome and the lines of his pants were so sharp that they could cut tofu! For years I wondered: What happened to Mr. Huang? What kind of a “chemical process” had his life gone through for that kind of change to occur? From my Chinese teacher I learned that Mr. Huang was a college senior in 1957 when he was singled out as a rightist for making suggestions to the Chemistry Department. During the Cultural Revolution, he was the first teacher to be street paraded for ridicule. For years he raised chickens for the school, and he and his family lived in a shack next to the chicken coops. Earlier this year, I finally began to interview people for Mr. Huang’s story. First I got in touch with his eldest son who is my age. We exchanged a few emails, in which he told me about his childhood and the divorce between his parents. I was really happy. Then I tried to set up an appointment to call him, but he didn’t respond. After a long while I emailed again to inquire, but he said he was too busy now to talk to me. We still haven’t talked. I had a good laugh. He told me how Mr. Huang and his students cultivated gibberellin, a plant growth hormone, and tested it on his vegetables; and how he started a plant to distill fulvic acid. I have yet to write Mr. Huang’s story, but I have the title ready: The Chemist. A few years ago I asked my older brothers about their early memories. We grew up together, but because of age and gender difference, we have quite different memories. They told me about a man by the last name Cui (崔), how, during the Cultural Revolution, he visited the county government regularly from countryside to appeal his case. Each time he would drop by our house, carrying a military suitcase. This thick, shiny, dark-brown leather suitcase held great fascination for the boys, and in it, there laid nothing but a set of air force dress uniform. Later I found the man through a relative. We talked on the phone. He was in his 80s and lived in Jinan, Shandong province. He was the son of the principal of the primary school my mother had attended briefly, and joined the Communist army in his late teens. 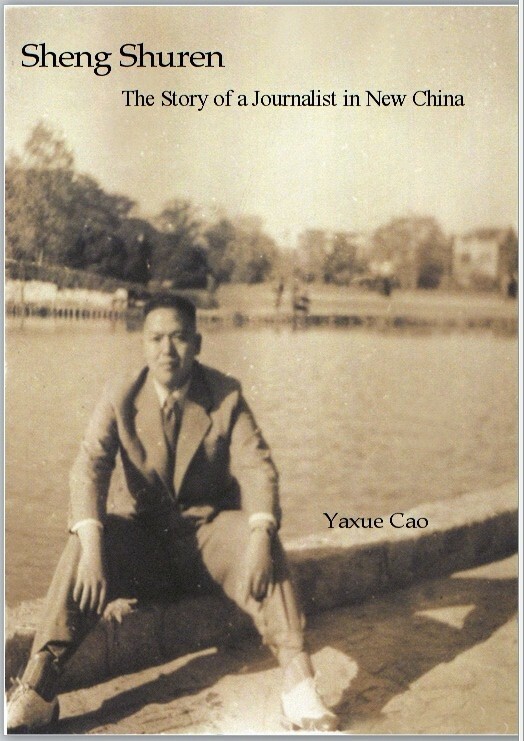 In the 1950s, he wrote a poem on a blackboard poking light fun of his superior, and, for that, he was expelled from the air force and sent to work in a mine in Shangxi, his home province. When the Cultural Revolution started, the Red Guards sent him back to his ancestral village. That set of air force uniform was at once the symbol of his honor and the proof of his service. After Mao died, he was allowed to reunite with his family in Jinan, but he wasn’t “reinstated” simply because his case didn’t involve any past political campaigns. He told me he had just come back from Beijing where, over the years, he had gone countless times to appeal his case to no avail. One of his daughters had killed herself lying on train tracks for abuses she suffered in school, his wife had died a few years ago, and now he lived with his son. He spoke softly, with fatigue, of his Kafkaesque ordeal, family partings and deaths; and his accent reminded me of my mother. When I visit China next time, I would like to visit him, but I don’t know when I will be able to do that and whether he is, or will be, still alive. Every time I hear a story like this, whether it’s the story of the journalist, the chemist or the officer, I would think: If I were born a few decades earlier, there was no way I could have escaped the same, if not worse, fate. If I lived at all, I would want to tell my story to posterity so that it can see where we come from, weigh it and set things right. Therefore, for me, each story is also my own story. But think about it, isn’t it also the story of every Chinese? By T in Uncategorized on October 15, 2011 . I remember a conversation with a friend of mine. She is a few years younger than I and was very young during the latter stages of the Cultural Revolution – but her family suffered. I once brought the subject up with her and her response was telling – why would you want to discuss and remember such bad times? The impact upon her directly was not very much. Upon her family, it was significant and she related a few stories that were impactful upon her family. She related them in a monotone, as if simply reciting facts that had no direct impact. This is a person who is otherwise rather animated in her opinions on the state of China today, the Chinese government and many of her contemporaries – most of whom live outside of China. Indeed, very few people who lived through the early years of China through to Mao’s death are willing to discuss their experiences – and their descendants will be the ones who continue to suffer through the deliberately imposed silence (and subsequent ignorance). Those mistakes will continue to persist until the past can be openly discussed. Hopefully, the mistakes of the Lost Generation will not be repeated by another generation. Cao Yaxue, I, for one, am glad for your efforts to tell these stories. Thank you. Thanks, Chopstik. I will be writing a few more of these stories. You are right: it is an imposed silence. The problem is, once the direct victims are gone, the imposed silence becomes ignorance, indifference and norm, as though nothing has happened. I have in my possession letters and other personal documents of one the victims in the 1950s. His struggle to suppress the desire to remember is in plain view and heartbreaking. I can only imagine how many people had similar struggle and which probably was not even known to their children. I do hope that you have the opportunity to learn and share as much as you can. As I have told my progeny, it is always better to have more information from which to learn rather than not enough (and therefore prone to the mistakes others have already made). While I do sympathize and understand the desire not to share those experiences from the past, I also feel that they should be shared if for no other reason than to prevent others from the same experiences. Heart rendingly true and deeply saddening these times in China’s history. Wonderful that they can be told by sincere people such as yourself. I was talking with a friend and his father in Tianjin, and I asked why he didn’t talk about the government like his son does sometimes. He said he was afraid that the opening up and reform wouldn’t last, he remembered the Hundred Flowers Campaign and the results of that, and other times when at his job they were encouraged to suggest changes, and everyone who proposed changes was punished. He had no confidence that what he said would not be used against him in the future, and so would not discuss his thoughts with anyone.